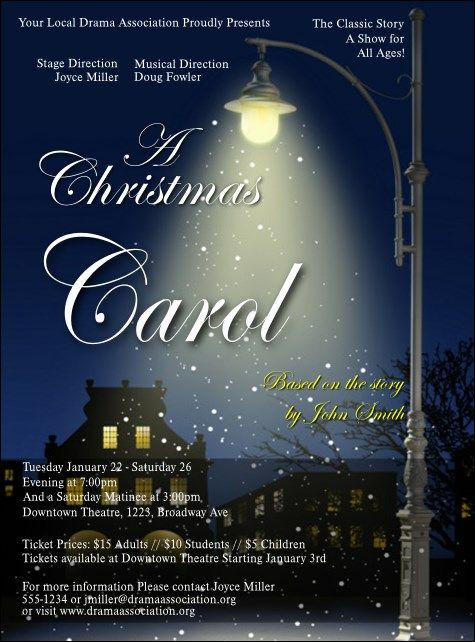 Celebrate the kindness and generosity of the season by promoting your play with the haunting Christmas Carol Flyer. This snowy template features a classic design with a dark night sky lit up by a street lamp over a small village. Coordinate your advertising with tickets, posters, and VIP passes in a Matching Event Kit.